Locksmiths get people in when they are locked out. Hopefully the person hiring the locksmith belongs in the place they hired the locksmith to break into, but it is not always the case. My first choice was to see a picture ID identifying the person and matching the address of the property. However, for many legitimate reasons ID may not be available. For example, it may be locked inside the place. Or, they might have just moved to that location and not had their ID changed yet to match their address. In this case I would use their ID to verify their name, and then tell the person that once I had gotten them in they would produce a piece of mail, preferably a utility bill addressed to them at the address in question, or perhaps a lease. I let them know in advance that if they could not produce evidence that they belonged in the place I would call the police. Even that didn't work every time. I picked a lock for one young man who promptly produced mail with his name on it corroborated by his identification once inside. Then his girlfriend showed up and was angry because she had kicked him out the week before. She threatened to call the police and implied that I was to blame, too. "I think you should call the police," I said. "But as far as I'm concerned, you might as well arrest one of my screwdrivers." When she asked me what I meant, I said, "I'm just your boyfriend's tool, here. He produced satisfactory identification and I let him in. If he does not belong here you should call the police. I will be happy to wait here for them to come." She said that that would not be necessary. I gave her a business card, the boyfriend paid me and I left. In a few days she called me back and had me change her locks. Lockouts are not a very good business. They are not conveniently scheduled, but happen at completely random times. The person who is locked out will sometimes call several locksmiths and hire the first one who shows up, leaving the others to waste their time. Locksmiths do not like this. More than once I arrived at a lockout to find two different competitors' trucks already there, and we agreed that we would all leave and leave the inconsiderate lockout victim stranded. While we were wasting our time on behalf of this lockout, we could have been doing our scheduled work instead and making real money. There are a few disreputable locksmiths who specialize in lockouts. A person who is locked out after hours can expect to pay one of these sharks several hundred dollars to get them back in, and may end up with ruined hardware and a damaged door besides. Consumers need to be careful whom they hire. The police may have someone to recommend. Otherwise a neighborhood locksmith from a good neighborhood might be a wise choice. Unfortunately when you are locked out you are in many ways at the mercy of fate and the locksmith. So have a good look at the company truck, the locksmith, and the locksmith's tools. Perhaps you can go to a friend's house and see if there are any locksmith reviews online for your town, or ask your landlord, your neighbors or your friends to see if they can recommend a reputable locksmith. Lockouts range from mundane to disturbing. Usually I was sent by a landlord or management company to break into an abandoned property and change the locks. Ho hum. But the occasional scantily clad college girl was always a favorite. "I'm not wearing any underwear. How about we split the cost?" 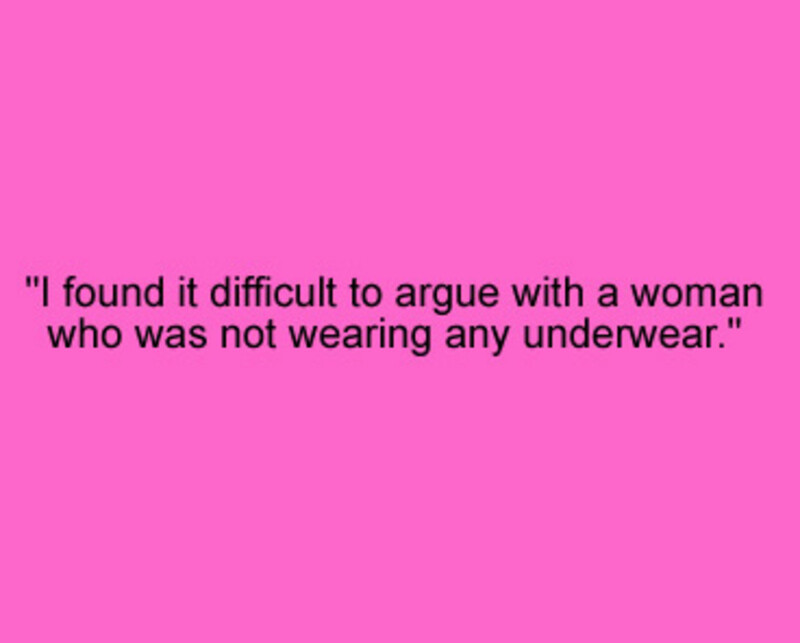 I found it difficult to argue with a woman who was not wearing any underwear. I would still require her to produce identification once inside her home. People would often be annoyed when I required this from such an obviously honest person, but as they found their ID it usually dawned on them that this was a good thing. For one thing, it proved that I was reputable. After you watch someone break into your home with little if any damage or trouble, it's nice to know they are a reputable person. On more than one occasion I was hired by neighbors or a landlord to gain entry to the residence of a person of advanced years who had not been seen for a period of time. Not knowing what one may find on the other side of a door makes it difficult to concentrate. The sight of a dead body stays with you a long time. Lockouts vary greatly in difficulty, though most are not difficult. That is why some disreputable locksmiths hire unskilled help to do them. 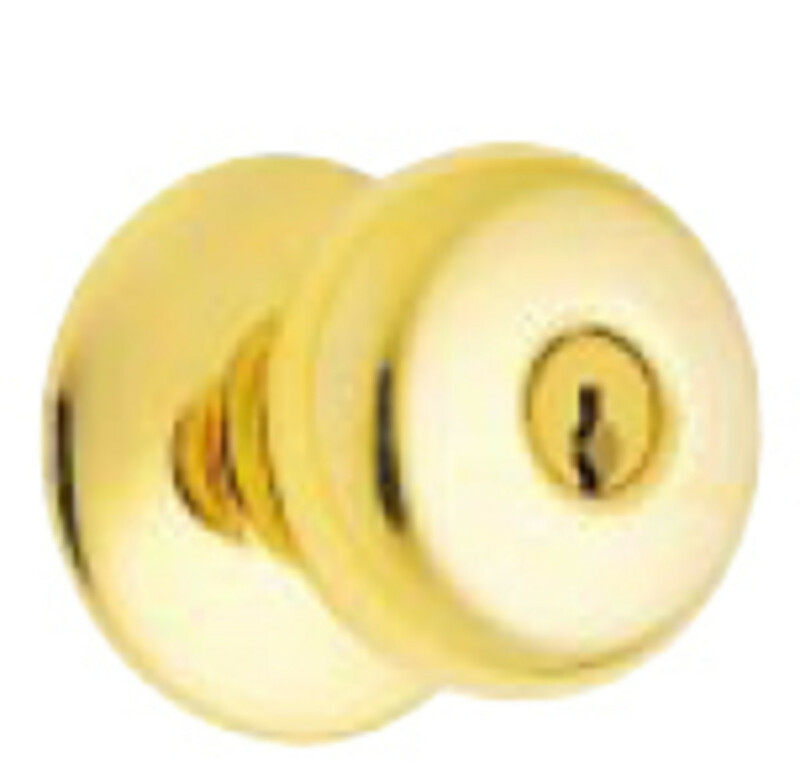 Most of the time people are locked out by a key-in-lever or key-in-knob lock as shown at right. Often I would get through a lock like this using a technique called 'shimming', which can take a matter of seconds. If the lock is properly installed, this method is not usually usable, but since most of these locks are installed by contractors who choose not to read the directions or use an installation template, many of these locks are not properly installed and can be quickly opened by this method. If the customer was present while I shimmed their lock open in five seconds, they invariably wanted a discount but I did not give it to them because, as I explained to them, they were not paying for my time, they were paying me for the fact that I knew how to do this without hurting their lock and they didn't. Some of the indigents and college kids hired by less reputable locksmiths use an adjustable pliers to simply wrench this kind of lock off the door. Then they sell the victim a new doorknob lock (worth maybe $30 at Home Depot) for several hundred dollars. If you are locked out and your locksmith pulls out a big pair of pliers, beware. If the lock was properly installed and I could not shim it, I tried to pick it. I was a fair but not expert lock picker. I averaged around seventy percent with standard locks. This was a quick and easy entry, usually accomplished in less than ten minutes, but people were happy to pay for it because it seemed so magically skillful, and of course it was fun for me. If I could not pick the lock due to lack of skill or because the lock was pick resistant, I would use a power tool to destroy the cylinder. I kept a variety of replacement cylinders in my truck in order to replace those I was forced to destroy. Lockouts that occurred because of lock malfunction could be either the easiest or the most difficult. When people told me their key would not turn, I asked, "Well, did you lubricate it?" Then I would sometimes lose a job when the person chose to go down to the hardware store and buy some silicone spray or other lock lubricant, or after hours to a convenience store to buy some lightweight general purpose lubricant, but other times the person would not be able to do this - take the case of the college girl with no underwear - and I would have to come out and spritz the lock for them. I rarely discounted for these service calls because I had given them fair warning and an option to avoid the expense. At the opposite end of the difficulty spectrum there are certain deadbolts and New York police locks that malfunction or wear out in a certain way that they cannot be opened by key from the outside. 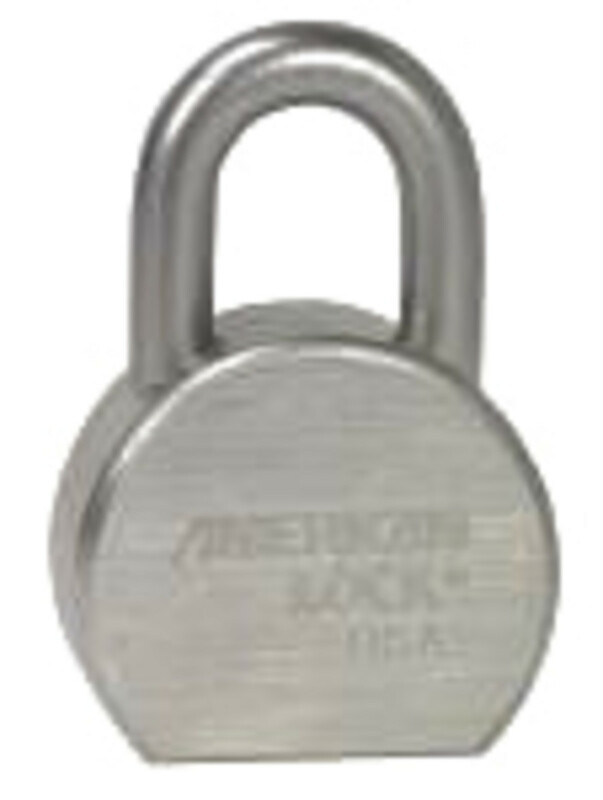 In these cases it is useless to pick or otherwise attack the cylinder because the customer actually has the key, but although it still turns fine, it will not operate the lock. Such lockouts may require more than an hour of hard work removing the cylinder with power and hand tools without harming the door, so that the lock itself can be destroyed. Afterwards, of course, the entire lock must be replaced. I had a number of repeat lockout customers. Some people just lock themselves out all the time. I did what I could for them. I started a service in which I stored their keys for them for a fee of ten dollars and charged them the regular key duplication price for making them a set of keys during regular business hours or a reduced overtime service rate for driving into the city to make them a set of keys after hours. One customer near my shop locked himself out on his roof deck as Hurricane Gloria was approaching. He lived in one of the 19th century townhouses down in Charles River Circle. His neighbors were James Taylor and the president of the Boston Company. Since he eschewed my key storage service, I had to ask a neighbor to let me in through their house and out through their roof door. Once on the roof, I crossed to his roof and was able to pick the lock as the storm clouds raced overhead and the darkening edge of the storm drew closer. Divorce lockouts were a challenge. The soon-to-be ex-wife would call and say she was locked out, so I would go get her in. Then, of course, she would have me change the locks. 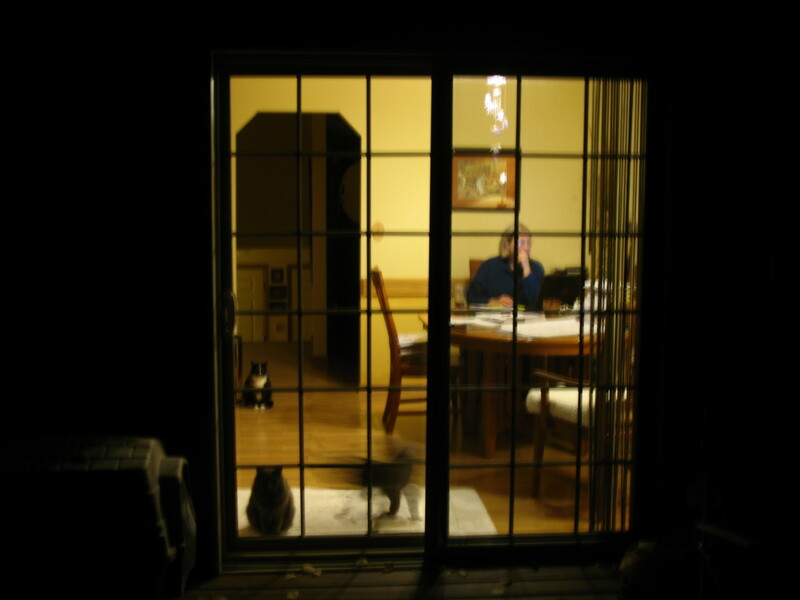 Then the husband would call with the same request, but I refused to work both sides like that. I referred him to a competitor. One divorce lockout defeated me. It turned out the husband had nailed the doors shut from the inside and rappelled down the side of the building from a fourth story window. I told the poor woman to call a contractor, because it was likely all her doors would have to be replaced. "You gotta come. You gotta come quick. My girlfriend is handcuffed to the bed and her parents are comin' home any second!" "Pal, you are gonna get exactly what you deserve." I am really impressed by your ability as a professional locksmith. As a state certified locksmith and working on this field for more than 5 years I've learned a lot from senior's like you and it inspires me to work harder with full honesty, which is quite difficult to find these days amongst many locksmith services provide. Please keep on writing. It is a concern certainly. I agree, as indeed I say in the article, a piece of mail with a name matching the ID inside the residence is reassuring corroboration. But neither ID nor mail is certain evidence. A person may have had the right to be there yesterday and today they may have a restraining order against them denying that right. However, one who hires a locksmith to illegally break into a place is, in effect, hiring a witness to their own crime. For this reason locksmiths are rarely used as burglary tools. The roommate situation can be as complex as divorce. I used to ask to see their name on the lease, but often only one resident has their name on the lease and the roommates do not. Or they may be a sublet. The reality, Mr. Check, is that locksmiths must make a judgement call whether or not to work for any given individual. My method was to say before taking the job that the customer must produce ID and evidence of residency upon gaining entry or I would call the police. On many occasions making this non-negotiable stipulation made customers decide not to proceed. On other occasions the customer was comforted by this requirement and that in turn made me more confident of their trustworthiness. In the end it is about trust. The locksmith must decide whether or not they trust the customer, just as the customer must decide the same concerning the locksmith. Roommates get kicked out all the time. Their license or other picture ID showing the address may have the address on it even though they don't live there anymore so just an ID isn't good enough. Locksmiths should ask for a utility bill that shows who is really living there. Just saying! Thanks very much, John! May all your locksmithing adventures be fun and profitable. Thank you very much. I am an owner of a small locksmith company in Albuquerque and I found it very interesting to read about the history of my profession. The text is written in a very funny and interesting way! Lockouts are just one facet of a fascinating trade. Thanks so much for reading and commenting. What great stories! I never imagined the life of a locksmith to be so interesting. Voted up, and thanks for sharing! Being a locksmith is a great test of one's moral compass. Thank you Will and Lily for visiting and commenting. Oh my goodness, these stories are great. It would be so hard to navigate those divorce lockouts! Way to keep a great attitude about everything. Being a 24 hour locksmith has to be a difficult, yet entertaining job! Thanks for the post, I actually got a good laugh along with good knowledge. "Their company vehicle is a pink Cadillac" - haha! One of my good friends drove around a pink Cadillac for a few years, always had people laugh when 4 guys came out of a pink Caddy. It would sure raise an eyebrow if a locksmith arrived in one! I retired from being an independent locksmith to work in door hardware distribution. I am glad that I did it, but sometimes I miss the independence and freedom of the trade. I have been in my new field for over 16 years now. I enjoy sharing challenges with locksmiths over the phone every day. You are wise to value lasting learning over quick profit. With values like that you can build success. I wish you every good fortune. Hey, Tom...good info & stories...I've only been in the biz for a few years, and already have my fair share of war stories, too. I peruse the news & blogs to find interesting stuff to share on my FB page. Are you a retired lockie, and went on to something else, or retired for good? If a permanent retiree, and it was a result of your 17 years in the biz, PLEASE clue me in on your marketing techniques that allowed you to do that! Lol! I'm a general-service locksmith, that leans toward aotomotive work...and you're right--it takes a certain skill set to be able to tear down steering columns & dashboards to get at ignition cylinders...interesting work, and I get to assist specialists I hire to do my jobs of that nature (they get the bulk of the profit, but I get the hands-on experience--win/win all around!). Anyway, thanks for the stories, guy! Thanks so much for sharing your story with us, Robert! I did a Cadillac ignition once, for a friend. Automotive is a lucrative field but you almost need to be a car mechanic to get it right. I admire your skill. Thanks again. Welcome, KyGuy! I try never to get into a discussion of simple entry technical specifics online. What you mention is simple enough, but there's no need to publish details right out here in front of God and everybody. Suffice it to say that you know what shimming a cylinder means. Apply the same principal on a larger scale and you have your answer. All the best. Tom, I am a student locksmith, training under a licensed locksmith, and I'm really enjoying the work. I enjoyed your article but wanted to ask about "shimming". My experience with shimming comes mostly with rekeying a lock where the original key has been lost. What your referencing sounds more like the old "credit card" trick on the jamb. Is that the official term for that trick? For a locksmith a different story begins with every call. Thanks, Brisbanelocksmith! Great Hub. You could just about write a story a day when you are doing lockouts and changing locks. We had water restrictions here a while ago and you were not allowed to water your garden. Quite often I would get little old ladies locked out in their night gowns at 2.00am after sneaking out to water their garden. Thanks for the information, it's good to know for the next time I get locked out of my house, which will most certainly happen. I don't know why it so easy to lose track of my keys, just happens sometimes, I get pretty busy. I know a lot of people use edmonton lock, their fast and have great employees. They are also very professional and helpful. Here's their site http://www.aegislocksmith.ca for next time your in a jam. Greenbelt Locksmiths (http://www.greenbelt-locksmiths.info) is one of the best local auto/home locksmith company open 24 hours in Greenbelt, MD providing professional mobile locksmith services. Locksmith Greenbelt offers 24hr locksmith solutions for all residential, automotive, commercial. Greenbelt Locksmith is commited to provide fast and reliable locksmith services at affordable locksmith prices. Greenbelt local locksmith services include changing door lock, master rekeying, locks installations and repairs, auto transponder, car/auto lockout, change locks in Greenbelt lock smith 24 hour locksmiths in MD locksmith, cars unlocked, broken keys replaced, car key repairs, remove locked keys in vehicle, auto locksmith, emergency locksmith, ignition replacements, keyless entry systems and high security locks. Some days are like that, James. Other days there are mailbox keys to make or deadbolts to install. More often today, a locksmith has to bring a notebook computer to the job so s/he can program the locks! Thank you. So this is what a day in the life of a locksmith is about. Thanks for sharing this interesting hub! i enjoy read this hub keep upthe good work! Very interesting read - I enjoyed it greatly. Glad you liked it, smithy! Nice post thank you very MUCH! Interesting look into the Locksmith world - Good Hub !! Hi Amanda, in 17 years I only saw two burglaries in which the lock was probably picked, but thousands of doors that had been forced open. Burglars are usually desperate people on the bottom of the economic ladder with little skill. And ya, dead people are just no fun! Thanks, Jerilee! Sounds like a fascinating book. I will have to pick it up. What a delightful read and insight into a business that most never think too hard on. 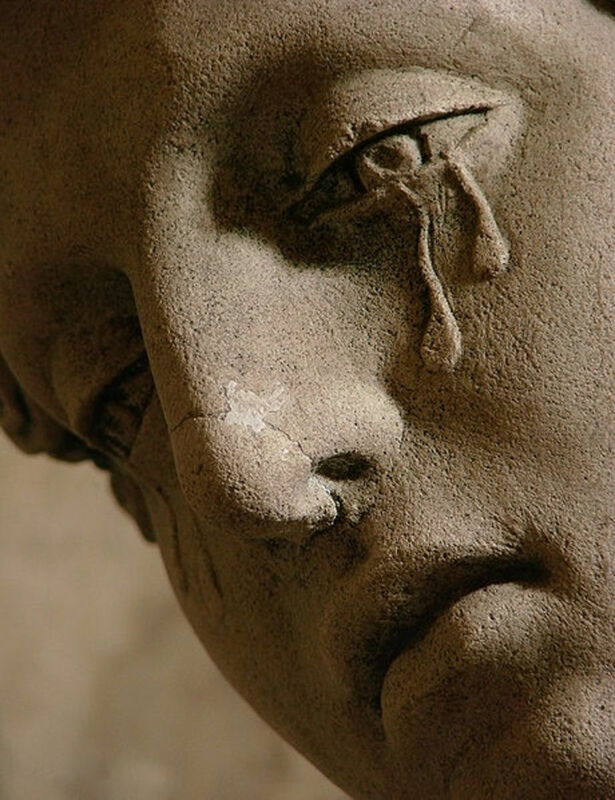 If you haven't read The History of Love by Nicole Krauss, where the main character is a retired locksmith, you probably would get a kick out of the chapter where he picks a lock. Great reminiscences Tom. When you see a professional locksmith at work, it makes you realise how easy it must be for a talented burglar! Perhaps you should do a hub on home security, as I'm sure many of us could do better on that score! A friend of mine did some work on an 'empty' house and found a body there. Not nice. You must have seen some sights. Thanks for sharing. Hi Christoph, thanks! I was involved in many foreclosures and evictions in my career. The constable is there with his uniform and his gun. The evictee often has a drug problem or some other problem. The movers are there, and after the constable has secured the property, they start moving the evictee's stuff into the trucks. Not my favorite work, but just like any other business, you have to serve your clients. Sometimes I would be working on an apartment building and of course I would have the master key. I would knock and I would knock at the appropriate apartment door, then I would open the door and call out, &quot;Is anybody here?&quot; No answer. Then, halfway through the job, someone would emerge from a bedroom all groggy and yell at me. &quot;Why didn' t you knock?! ?&quot; What fun. Hi Tom. Great hub! I used to work as a real estate recovery specialist, which basically meant I took over abandoned houses. First duty was determining if someone still lived there. If you couldn't tell by looking through windows, you had to go in. I would pick a lock if I was able (I wasn't good at it, but it was cool when it worked) or failing that, get in however you could while doing as little damage as possible. That might be climbing through a window, jimmying something, whatever. Once I was making my way through a house, calling ahead of me, "Real Estate company," only to enter a bedroom to see a large, female (I think) foot sticking out from under a comforter on the bed. I got out of their fast. I didn't know if she was dead or what! Scared the bejesus out of me! If we determined the house was not being lived in, then we changed all the locks - usually by replacing the pins according to the real estates company's master key. Thanks for letting me relive those memories, though most of it was awful, there were incredible moment of excitement! Glad you enjoyed, Teresa! I've been using the spell check with you in mind! I enjoyed the locksmith work very much, but one can only haul toolboxes up fifth floor walk-ups for so long. Mowhawk-boy beat me to it -- this is a lovely essay on human foibles. What shines through, though, is your good-humored integrity and honesty. Neat. Thanks, Mr. Golden. Life is really fascinating and strange, isn't it? Tom, you definitely know how to twist and turn on these stories and give great humour to it as this isn't really about locksmithing, but about the situations we can get ourselves into. I hope to find myself in a situation with a college girl too.